Why work with Brendon Kearney? • A history of success! A true San Francisco expert, Brendon blends a sense of Midwest style and Southern charm together with the experience of an International entrepreneur. Brendon has the savvy and sophistication to negotiate the highest possible price for your home in any market. 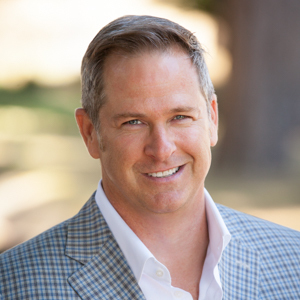 Building on his passion for success, Brendon earned his Certificate in Personal Financial Planning from the University of California, Berkeley. Brendon combines his expertise in real estate together with your financial plan to ensure that your home investment is the best for you. An active member of the global community, Brendon works with local charities and with Habitat for Humanity - both in San Francisco and internationally. Brendon also serves on the Board of Directors for San Francisco’s Project Open Hand. Contact Brendon today to learn more about the current market and how he can provide unique insight and valuable service to you. Dylin R. & Allison T.
Need to know what is coming on the market before it hits the MLS? You got it! Set on a treasured block of the Castro, this Victorian home radiates with warmth, polish and pride of ownership. On a flat, central block of Noe Valley awaits this classic Victorian residence. Ideally located between Golden Gate Park and Park Presidio, this 3 bed, 2 bath, remodeled and impeccably maintained home sits on a quiet block at the heart of San Francisco's Richmond District.